I purchased this old wooden tool box last week. It had a taped handle. The tape was almost disintegrated from age, but I pulled it all off, and glued the many cracks with wood glue and used zip ties to hold the handle together until the glue was set. I used my white wash on the tool box. My white wash is 1 part Rustoleum Heirloom White paint to 2 parts water. Since this whitewash was over a painted surface, it didn't soak in like on the raw wood bench. I took a paper towel and rubbed the paint so the brush marks on the first coat disappeared somewhat. This is coat number two. I didn't plant to distress this piece. When there is a possibility of lead paint, I will not sand. I will wet distress or whitewash. Then I stenciled the toolbox with one of *Funky Junk Interiors Old Sign Stencils , Welcome to my Garden Collection. 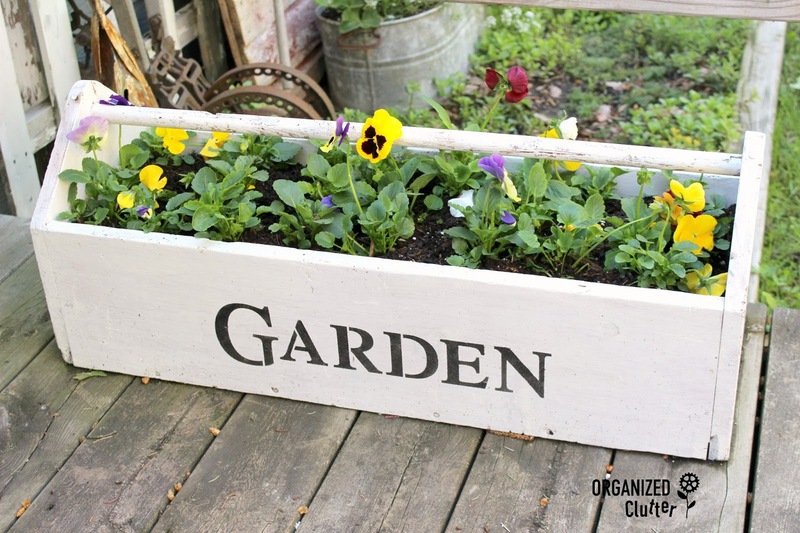 I planted the toolbox with pansies. 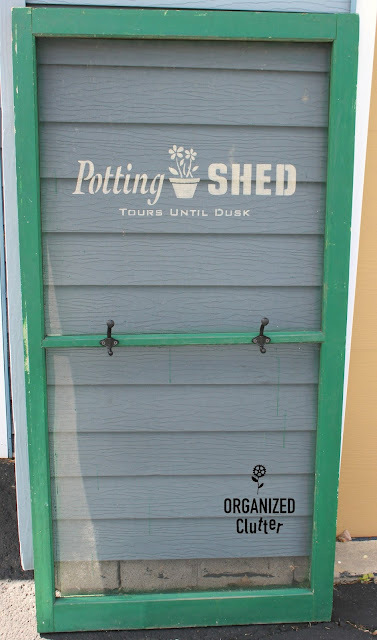 I also stenciled an old window screen with Old Sign Stencils Potting Shed Collection. I used a multi-surface craft paint from Ceramcoat Select in Ivory. This paint, when cured, can withstand outdoor use. I added a couple of hooks to the screen to hang a potted plant or garden tools, etc. Backdrops are big in my garden. I love backdrops to complete a vignette and add VERTICAL INTEREST. 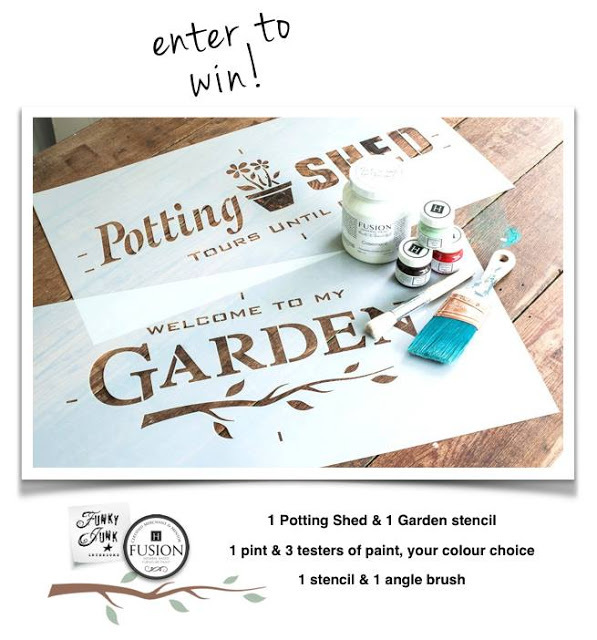 An entrant from my blog, in the Funky Junky/Fusion Mineral Paint giveaway, Ruffles & Relics, won this giveaway. Congratulations! Oh Carlene... that screen door! I can barely stand how clever that is. I will be on the lookout for one! Loving the green frame too... such a sweet project! 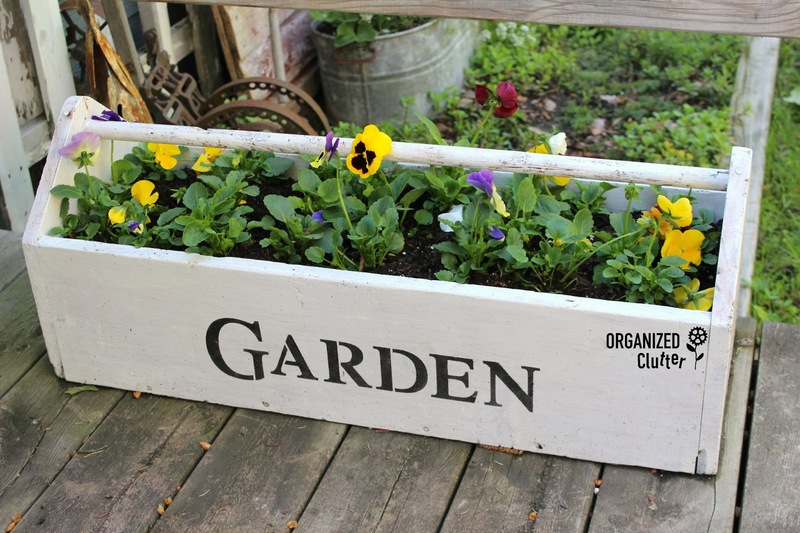 And you can never go wrong with a toolbox filled with flowers. So pretty! Love the screen door. What a cute idea and a fabulous backdrop to be used for many different things. The toolbox turned out really great too. Two wonderful projects. All I have to say is that you rock! I love your style! Love how your tool box turned out and the screen door, both are just too cute! Oh goodness no. No liner. just holes in the bottom. Of course this toolbox won't make it forever outside, but maybe 5 years. 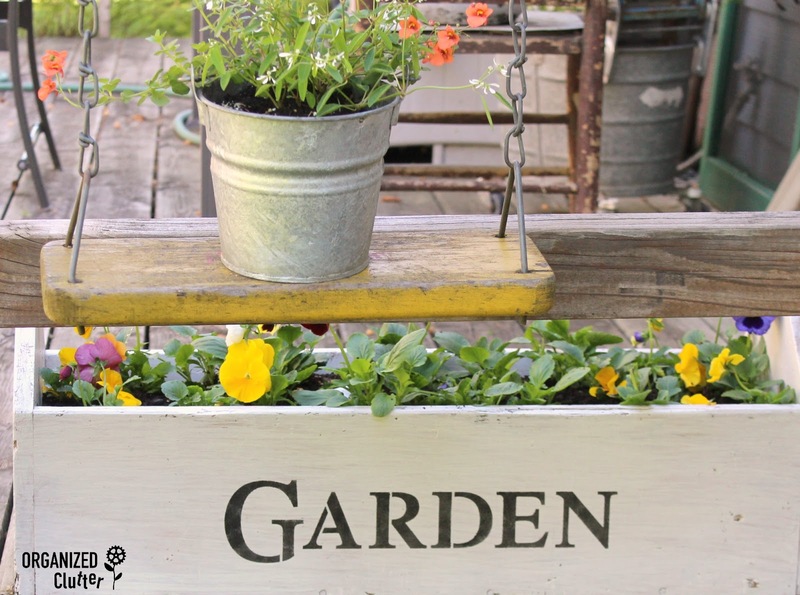 Love your very creative garden stenciling projects. That screen is awesome!!! I love the door. Great idea to put hooks on there also. I'm always looking around for my tools. 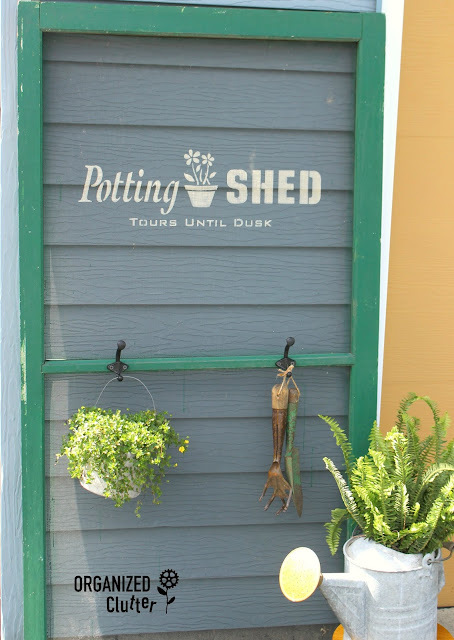 I have a shed that needs something creative like this!